My Mum and sister love Disney just as much as me, so choosing them Christmas presents is always lots of fun. I love searching the internet for really unique and personal Disney gifts, and this year I've come across lots of new stores. 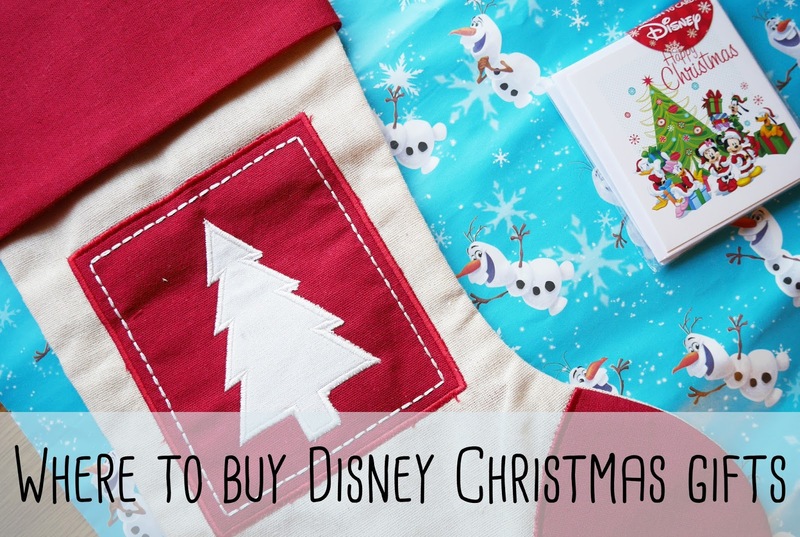 I thought I'd talk about shops that sell cute Disney items in today's Blogmas post. An obvious choice, but The Disney Store has some really brilliant gifts in stock this year! I particularly like their Mickey and friends Christmas plates, which would be the perfect gift for any Christmas and Disney fan! Primark is my go-to for stocking fillers. Their reusable shopping bags, make up bags and socks are really affordable. Next sell adorable Disney socks. I think it depends which Next you go into, but I picked up some great Winnie the Pooh ones earlier in the year. 4. It's Lizi on Etsy. I'm always a cheerleader for Lizi's Etsy business, but this year her products have been amazing! The heart plaques and London Underground prints are lovely little gifts. 5. Hey Katie Designs on Etsy. I discovered Katie's Etsy store recently and you can purchase handmade Disney notebooks for under £5! She has such a variety of styles available, ranging from Cinderella to the Cheshire Cat! This store has such beautiful Disney character-inspired bows! The Frozen ones are my favourite, but there's so many different film designs available. Where do you buy Disney Christmas gifts from? I'd love to hear any store recommendations. Love that you've included Esty stuff on there - will defo be checking them out for the little ones Christmas stocking fillers! Thanks for sharing!